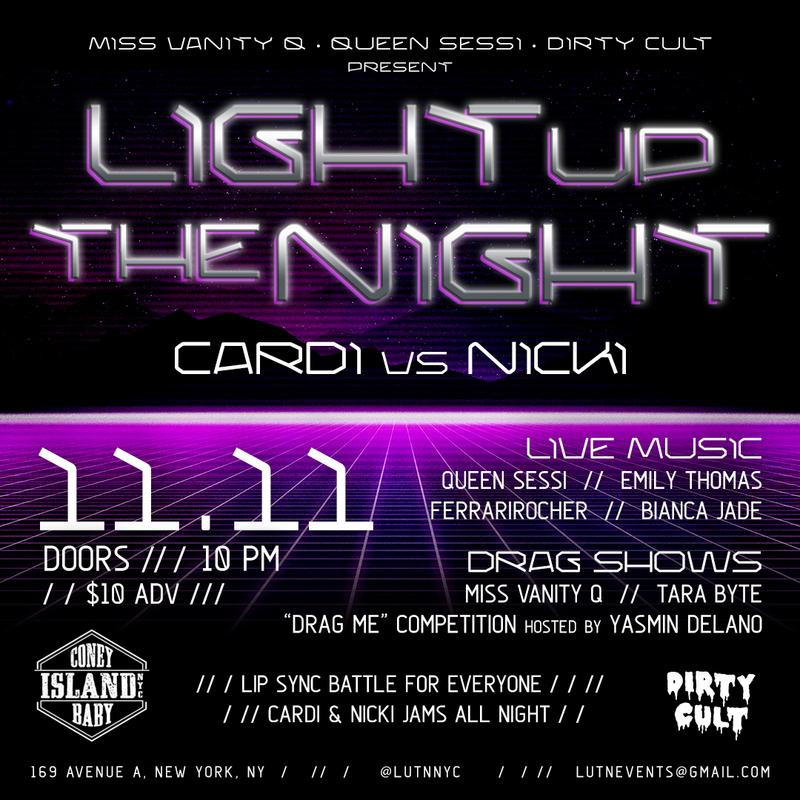 Light up the Night returns on November 11th with a Cardi vs Nicki themed night at Coney Island Baby. 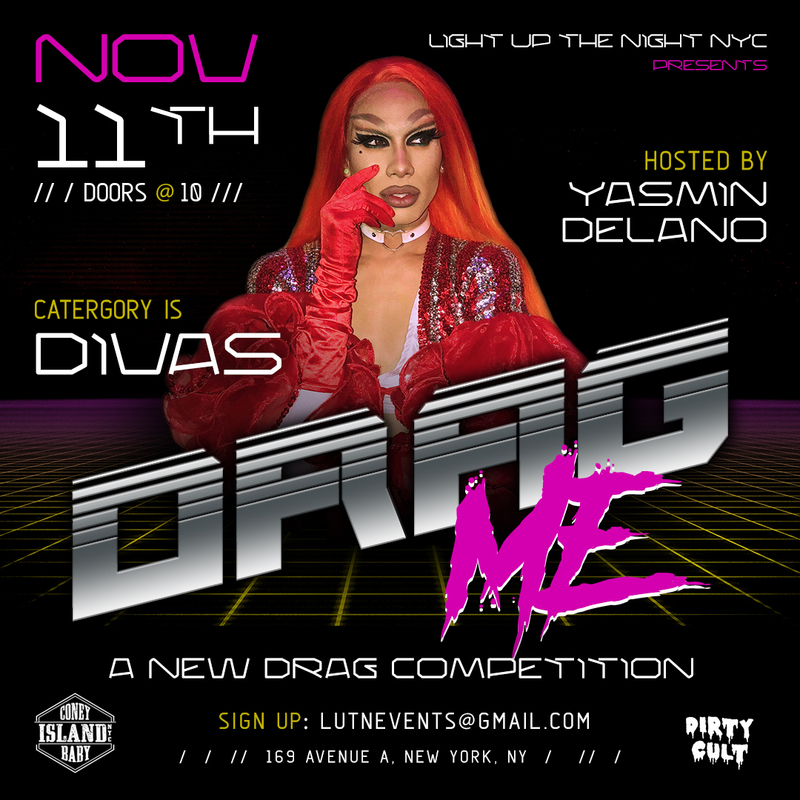 Featuring live music acts by Queen Sessi, Emily Thomas, FERRARiROCHER, and Bianca Jade, a lip sync battle open to everyone, fierce drag shows by resident hosts Miss Vanity Q & Tara Byte, and the launch of our new drag competition series: Drag ME, hosted by Yasmin Delano. DJ Mio Soul playing Cardi & Nicki jams all night. Email us at lutnevents@gmail.com if you want to sign up and compete for a $100 cash prize plus the title of Miss Light Up The Night. $10 advance tickets are available to the general public via Eventbrite. Click HERE to RSVP on Facebook.